1. Find your sitz bones. There are two round bones at the bottom of your pelvis, which have been nicknamed the Sitz bones. Anchor them into the chair and allow your spine to stack up straight. 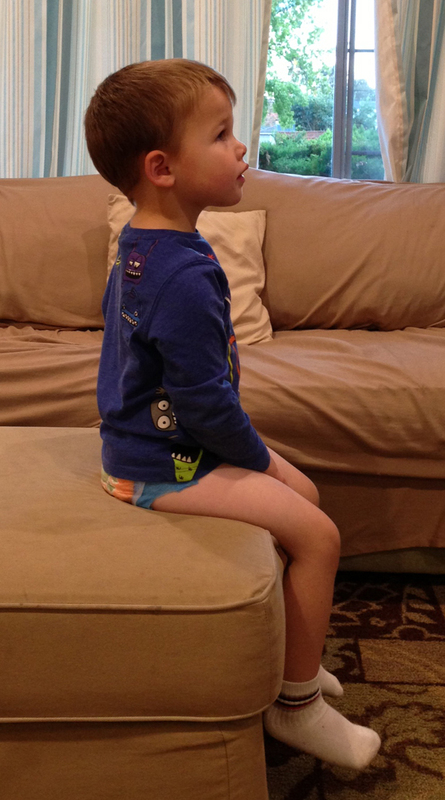 It helps to imagine that you have a tail and that you want to avoid sitting on it. 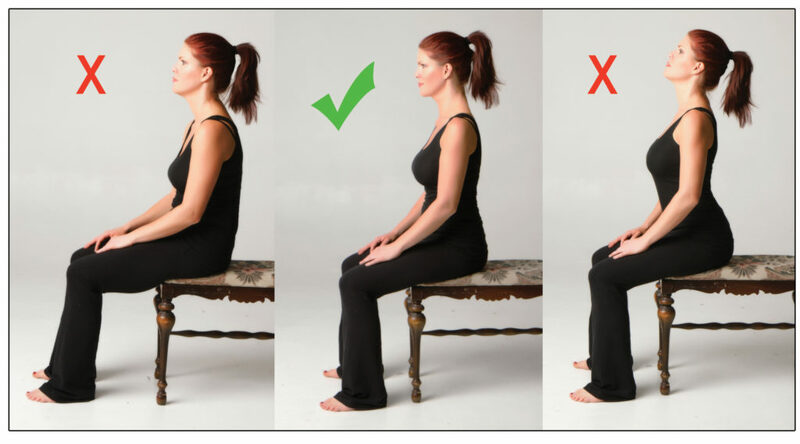 Ever so gently, push your sitz bones into the seat as you think about extending the crown of your head toward the sky. You are setting the intention of lengthening the spine, but you are not overusing the muscles to do so. It is only through relaxation that the spine can naturally lengthen upwards. 3. Balance your head on top of your spine. With the neck long and relaxed the chin is free to angle slightly downwards. Think of your spine extending up through the back of the skull. All of the muscles at the base of the skull can relax. Once you release your pattern of holding tension in the neck it will be easier to balance the head. When the shoulders are rolled forward it causes neck pain and it constricts the breath. Opening the chest and relaxing the shoulders will release tension, free the breath, and promote overall relaxation. Instead of pinching the shoulder blades, do a few shoulder rolls backwards one side at a time. Roll the shoulder forward, up, back and down. Then just relax. You may also want to stretch the chest muscles, since chest tightness can pull the shoulders forward. 5. Relax your legs, lower back, and belly. Let the knees open slightly and create space in the hip joint. This is usually more difficult for women who are used to crossing their legs and holding their legs together. The goal is total relaxation of the pelvis and the muscles connecting to it.